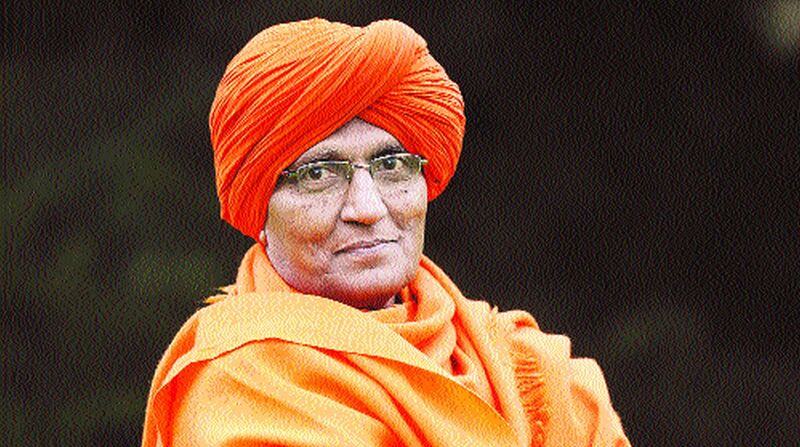 Swami Agnivesh is a social activist and spiritual leader based in the Capital. He was recently attacked in Pakur, Jharkhand, when he went to address tribals, allegedly by members of the Bharatiya Janata Yuva Morcha (BJYM) and Akhil Bharatiya Vidyarthi Parishad (ABVP). He suspects that the state government was also involved in the attack. Born Vepa Shyam Rao, Agnivesh became an Arya Samaj worker after a visit to Kolkata. He has been working for the emancipation of bonded labourers through his foundation, Bandhua Mukti Morcha. Q: What led to the unexpected attack on you in Jharkhand? A: I had informed the CM that I was going to Pakur to speak on constitutional rights of Adivasis. Instead of giving an appointment and discussing anything, he just kept the information to himself and passed it on to the local administration. He did not give me any time on 16 July when I landed in Ranchi. Instead of wasting time, I went over to Khunti, Birsa Munda’s birthplace. There I held talks with the DM and SDM for two-and-a-half hours. I took up the issue of Pathalgadi. It is a new movement which has started to assert tribal rights. We have waited for 70 long years. No governor has ever used that overriding power in Schedule V (which deals with the provisions on administration and control of Scheduled Areas and Scheduled Tribes) that the Indian Constitution has given. The PESA Act remains unimplemented and 22 years down the line rules have not been framed. Without the rules it has no meaning. Whether UPA or NDA, no government has framed rules. Now the tribals are putting up stone plaques outside their villages that they will rule themselves. The administration is maligning them, accusing them of being influenced by Christian missionaries and encouraging Left-wing extremism. The Pathalgadi movement is a real protest taking place in Jharkhand, Chhattisgarh and Odisha, as well as Adilabad area of Telangana. Villages are announcing self-rule or Gram Swaraj. B D Sharma gave this slogan when he was the collector in Bastar. When Sharma studied tribal issues, he found that constitutional provisions are not being implemented. Then he was appointed commissioner of the National Scheduled Caste and Scheduled Tribe Commission in 1986. He got a law drafted for PESA Act, 1996, with some support from Digvijay Singh, then Chief Minister of Madhya Pradesh, and it got passed in Parliament. It has overriding powers. In Scheduled Areas, there cannot be any elected Gram Panchayat or Nagar Palika or Nagar Jila Parishad. The 73rd and 74th amendments of the Constitution do not apply. There will be only Special Gram Sabhas and in the district there will be Autonomous District Councils.But no rules have been framed as yet. This is how successive governments have cheated tribals who have sacrificed more than anybody else during the Independence struggle. Birsa Munda along with other tribals was fighting the British in 1857. Assemblies and Parliament are silent on implementation of this Act. Even the elected tribal leaders do not speak up. When I spoke of all this to Khunti DM and SDM it was surreptitiously passed on to the Chief Minister and Chief Secretary that this is what I am going to say in Pakur. The government is giving land to corporates. They got terrified and wanted me to stop somehow. This is why I was attacked. Some excuses were given. They said supporters of beef eating should leave the country. I oppose non-vegetarian food. Q: There were allegations that you came out in support of Naxals. A: I have never supported Naxals. I only supported dialogue between Naxals and the government. Former Home Minister P Chidamabaram appointed me as an interlocutor in 2010-2011. I cannot support any violence, either state or non-state. But they will make allegations. Look, CRPF is being deployed in combing operations. Why doesn’t the CM send his son and son-in-law? Young jobless people get employed as CRPF personnel and are deployed in Naxal belts. Naxals are motivated. CRPF personnel are being killed like insects there. Nobody is there to lift them from the interiors if they have to go on leave. The states are getting Rs 3,000 crore for countering Left Wing Extremism. This is unaccounted money. State governments have developed vested interests to keep the problem boiling continuously. They do not want an end to it. I said I will put an end to it. But as soon as I said this, Cherukkuri Rajkumar alias Azad wrote a letter to me. I sent it to the Home Minister. He was killed in a fake encounter. There was no judicial enquiry. I met the Prime Minister but Chidambaram did not allow any judicial enquiry. I became the middleman. I risked my life and gave it to them in writing that we are ready for dialogue or peace negotiations. I take the side of tribals in support of their rights and not in support of any person who promotes violence. Q: Do you think RSS is behind all the attacks happening in the name of gauraksha? A: Yes, all these attacks in the name of gauraksha are being orchestrated by RSS. The recent sting operation by a news channel has made it clear that there is state patronage. In the sting , the attackers say the state government has told them no harm will come to them. That is what the murderer of Pehlu Khan has said in the sting. First, he gave a different statement in court. Then in the sting operation he said that he had beaten Pehlu till he died. This also happened in the case of Rakbar Khan who was killed in the same place where Pehlu Khan was lynched. Police first go to have tea and then go to the gaushala to drop the cows and then they take him to the police station where he is beaten up. After four hours, he was taken to the police station. State complicity in all these cold-blooded murders is writ large. No doubt at all. Q: Is a canard being spread by RSS that Arya Samaj is anti-Hindu? A: Arya Samaj has been the biggest protector. Those who do not fully subscribe to Arya Samaj or Vedic point of view of Arya Samaj, have also placed on record that our country benefited a lot due to this ideology. I have challenged Mohan Bhagwat. You call yourself Hindu. Debate with me on Vedas on a TV channel. Do Yajna and I will show you how to do Yajna. I will show you how to do it with the full meaning of the mantras of Vedas. What kind of a Hindu are you? You don’t know Vedas or its meaning. They are casteist. Arya Samaj has fought against casteism. Dalits were made Yagyapaveet by Arya Samaj. Children were admitted in gurukuls. They were made pandits. Q: The Arya Samaj also believes in protecting animals. So, aren’t the Gaurakshaks doing the right thing? A: Arya Samaj never takes the law into its own hands. Arya Samaj never says if you suspect somebody of killing a cow you should kill. Human life is always superior to any animal. Q: An intense political debate starts as soon as an attack happens but it dies down as quickly as it starts. What can be done to stop this completely? A: You must combat all forms of religious fundamentalism…religious fundamentalism is negation of religion or spirituality. When you deviate from real values of religion then you become fundamentalist. Then you instititutionalise religion and use it accordingly. These were the things Gurmeet Ram Raheem and Asaram Bapu were doing. You can see in YouTube that Narendra Modi is with Asaram Bapu. Arya Samaj said from the beginning that anything that is not universal is not spiritual. There is no place for superstition. God has given a mind to everybody so that we can question the Prophet, Gita or Bible and even Vedas.